Whyalla Kart Club had another successful all but small day night meeting Saturday. There was a great atmosphere as we all enjoyed the perfect spring weather and there was some good racing in the combined classes. Notable in Cadet 9 Lucinda Jones making some in roads on her brother Jarvis and the always fast Jett Zerk. Cadet 12 Ky Hubner was the other standout. 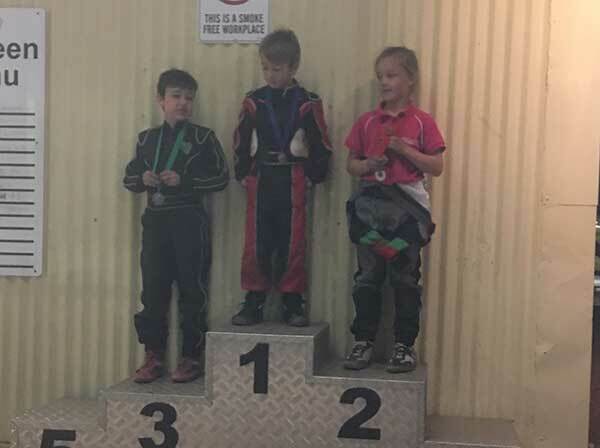 In Juniors, Brayden Stewart was very quick showing the benefits from his experience of taking part in the Australian Karting Championship. Ashlyn Clift in the KA3 kart mixed it up with the TaG Heavy drivers making for some close racing. The largest grid for the night was the TaG Restricted Light. Luke Clee had a good victory over the rest of the field, with a count back for second between Corey Clift and Dylan Hewson. Whyalla Kart Cub are looking forward to the next meeting on the 20th October, see you there.